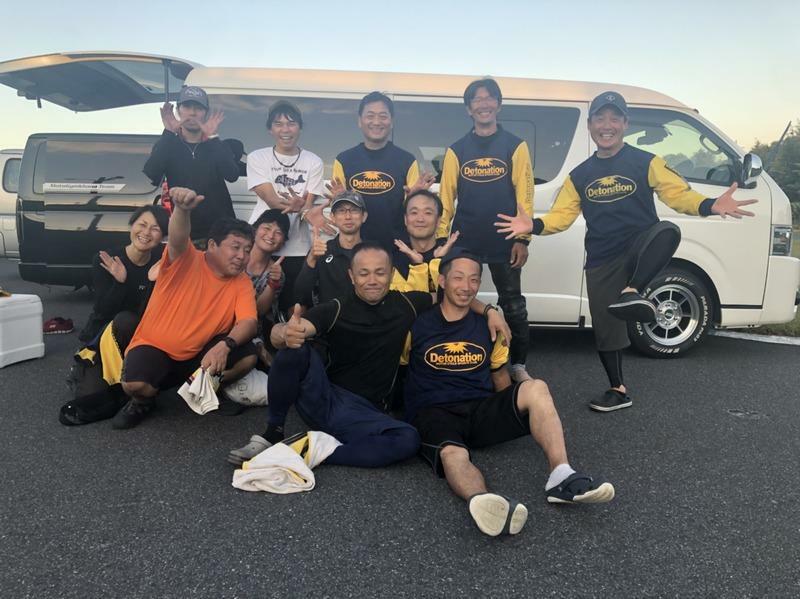 I participated in the Dunlop Cup JAPAN which was held during fine weather. Originally I was worried about typhoon No. 25, but in October it was a very hot competition. We were able to enjoy gymkhana in a fun atmosphere by entering together newly added detonation team members. From the reflection of the 4th race the first heat took a priority on taking time out firmly. As I ran, the approach line was narrow, and with the length and weight of S1000, the burden on the front tire was felt a little. It is 1 minute 44 seconds 4 in time. . It was a score of 8th overall SB top. I tried hard on my goal to run daringly at the second heat. Although I want to go to sleep more, I still wish to enter the S1000 because the front tire burden is heavy and the front does not come inside though the course with the entry line regulation is heavy. I let him run so that I can go ahead. I think that I was satisfied with running among themselves, but I finished with the 10th ranked overall in SB 3rd. I feel that this grades are justified for my strength now. I will do my utmost to do my best.